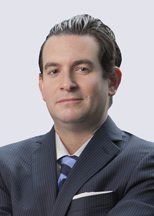 Jason Rosenthal represents businesses in complex litigation and also regularly advises corporate policyholders in insurance coverage disputes. Serves as the Chicago Office Managing Partner and on Honigman's Board of Directors (2015-2018). Previously served as the Managing Partner of Schopf & Weiss LLP from 2010 to 2015 (prior to the firm merging with Honigman). Frequently authors business litigation articles, as well as articles that discuss the best means to achieve prompt, efficient resolution of lawsuits, and has served as a regular contributor to the CPA Insider. Travelers Property Casualty Company of America v. Lucas Williams, et al. (S.D. Ill. 2018); represented judgment creditor seeking insurance coverage for $37 million verdict obtained in underlying lawsuit. Ace Management v. ICC Holdings, et al. (2018); represented majority investor in shareholder dispute regarding medical marijuana cultivation company. M & J Wilkow v. Fairbourne Properties, et al. (2017); defended real estate firm, its partners, and its investors against multi-count complaint seeking over $15 million. Landesbank Hessen-Thüringen Girozentrale (Nashville, TN 2015); represented international financial institution in action seeking to secure insurance proceeds for $100 million-plus loss to property securing loan. Private equity sponsor (2015); represented private equity sponsor in seven-figure dispute over alleged breach of representations and warranties in connection with sale of portfolio company to Fortune 50 company. American Home Assurance Company v. Checkpoint Systems, Inc. (Morris County, N.J. 2014); represented policyholder in litigation over insurance coverage for antitrust lawsuit seeking over $100 million in damages. Industrial manufacturer (electrical industry) (2013); negotiated more than $11 million in insurance coverage for contract lawsuit in which insurer claimed to have mistakenly revised D&O policy. Young v. County of Cook (N.D. Ill. 2010); advised Cook County, Illinois in connection with insurance coverage for $55 million class action settlement. Glen Ellyn Pharmacy, Inc. v. Sepracor, Inc. (N.D. Ill. 2010); obtained 100 percent indemnification from insurer of defense costs and $2.43 million settlement payment made by pharmaceutical company. Pace American v. Elixir Industries, 2009 WL 211953 (N.D. Ill. 2009); won summary judgment terminating case alleging fraud and breach of contract against distributor of aluminum coil brought by one of the world’s largest manufacturers of automotive trailers. Am Law 100 Firm (N.D. Ill. 2009); defended one of the world's largest law firms against 12-count complaint brought by former partner; case resolved after winning successive sanctions motions against plaintiff. AA Sales v. Coni-Seal, 550 F.3d. 605 (7th Cir. 2008); won reversal of summary judgment; case was remanded for trial on sales representative company's claims that defendant wrongfully denied commissions on sales to nation's leading auto parts retailer. American Express (AAA Arbitration 2008); represented dozens of former managing directors in arbitration resulting from corporate acquisition, including claims to recover stock options and restricted stock awards. West Bend v. Action Bio-Care (2008); obtained judgment on the pleadings recovering 100 percent of attorneys’ fees and costs incurred defending federal copyright infringement and fraud lawsuit. Industrial recycler (2006); recovered full limits of fidelity bond policy on behalf of industrial recycler. Oceanic Bank and Trust (N.D. Ill. 2006; Nassau, The Bahamas); successfully defended Bahamian bank and fund administrator against several multimillion dollar lawsuits alleging securities fraud and related claims. Tribune Company: A.P., et al. v. M.E.E., et al., 354 Ill. App. 3d 989 (1st Dist. 2004); represented Tribune Co. and the Chicago Tribune in gaining access to courtroom and court files regarding the highly-publicized Pritzker family litigation, and further secured the public and media's right of access. Carter v. Commonwealth Edison, et al. (Cook County, Ill. 2003); won successive summary judgments and trial against third-party defendant for indemnification and attorneys' fees totaling nearly $4 million. Industrial manufacturer (2003); obtained summary judgment on behalf of manufacturing company seeking insurance coverage for multimillion-dollar federal and state lawsuits arising out of alleged environmental contamination. Sure Start v. Zurich American Ins. Co. (Cook County, Ill. 2003); won summary judgment for insured on defense and indemnification obligations and bad faith claim (entitling insured to attorneys' fees and costs in bringing coverage lawsuit). Ringo v. Linde (Cook County, Ill. 2001); first-chaired trial and obtained directed judgment (affirmed on appeal) for former corporate president in breach of contract lawsuit regarding bank notes used to finance corporation. Pribble v. United States (C.D. Ill. 2000); won habeas corpus petition resulting in reversal of six-count bank fraud conviction of former bank president, obtaining his immediate release from federal prison. Harris v. Coldwell Banker, 312 Ill. App. 3d 1197 (1st Dist. 2000); obtained dismissal of lawsuit seeking to hold national real estate brokerage firm responsible for failing to disclose special assessment enacted by village ordinance; dismissal was affirmed on appeal.